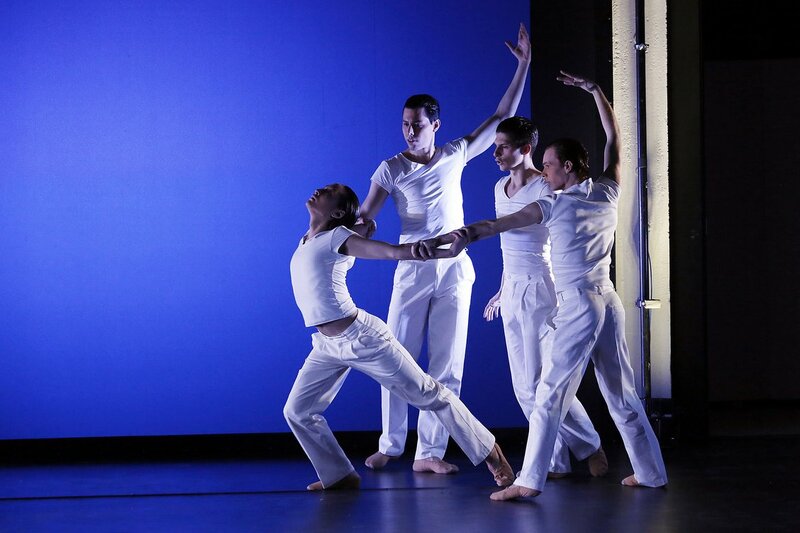 Every year in early December the Anhaltisches Theater performs a programme of modern work on the Bauhaus stage. This by now traditional cooperation marks the anniversary of the inauguration of the Bauhaus building on 4 December. In recent years in “Staging the Bauhaus”, directed by Daniel Carlberg, music has played a central role, with the space becoming a performative space through the interaction of music and light. The programme is always based on the Foundation’s annual theme. In 2016, this was “Movement”. Thomas Kajdánski, ballet master and head choreographer at the Anhaltisches Theater produced the dance piece “Da Da Dance” specifically for the occasion.